Trail Running - Beautiful guided trail runs over iconic trails. 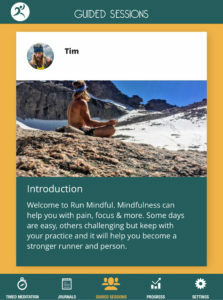 Mindfulness - Mindfulness training and materials. Meals - Delicious, healthy, local, organic meals are included in the registration fee. Event Transportation - Transportation from host hotel to events during the event weekend. Sponsor Swag - Check out examples of swag from 2018 here! Lodging (see lodging info on our website). Sign me up for the Adventure Mindful newsletter. Can we share your e-mail address with others seeking a roommate? I have read and agree to the Liability Waiver. Call or WhatsApp to +1.920.740.5231.